by jessicasabo January 7, 2018 . 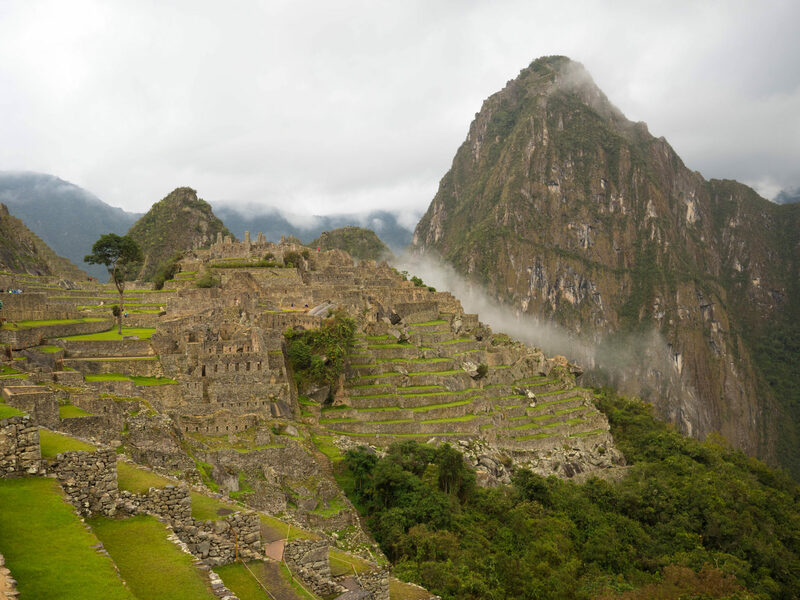 Machu Picchu is a citadel set high in the Andes Mountains of Peru. 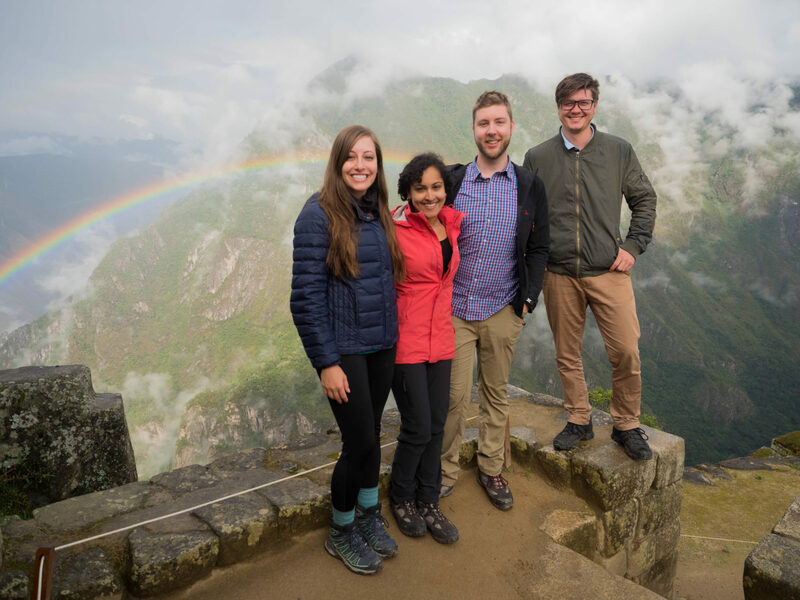 It was built by the Incas in the 15th century and remained unknown (except to locals) until 1911 when it was rediscovered by American explorer Hiram Bingham. There are many theories about its origin, but exactly why it was built remains a mystery today. It is now considered one of the seven wonders of the world. 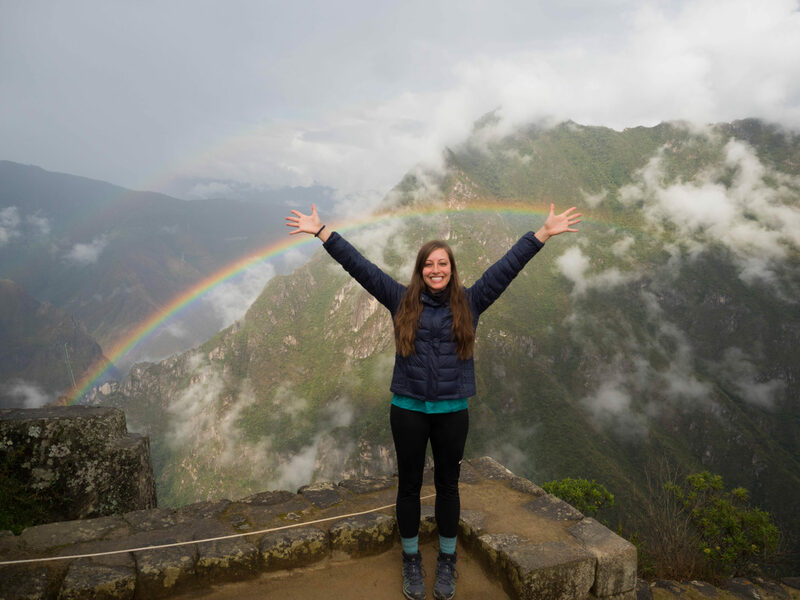 You’ll need to make your way from Cusco to Aguas Calientes, the town at the base of Machu Picchu. I was on a group tour with Geckos Adventures, so this was already organized ahead for me. 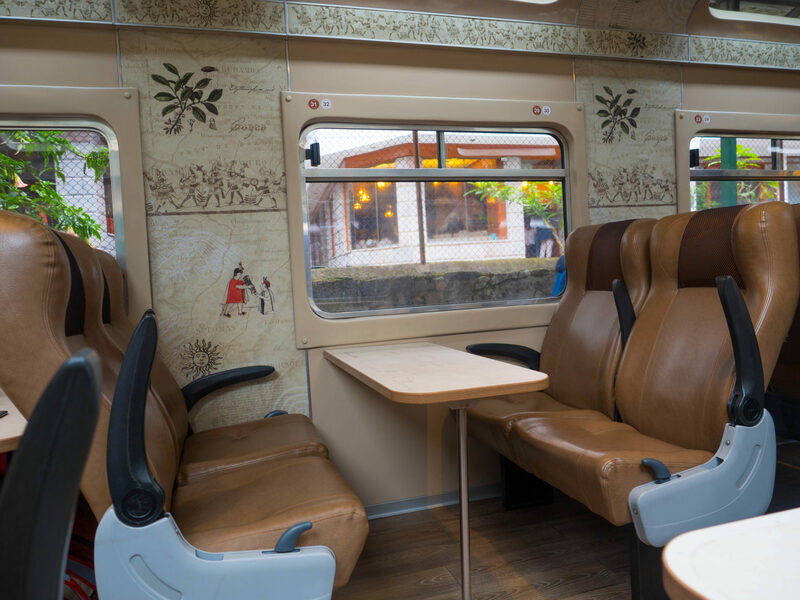 My group took a van from Cusco to the town of Ollantaytambo, spent 3 days hiking/camping around the area, and then took the Peru Rail from Ollantaytambo to Aguas Calientes. 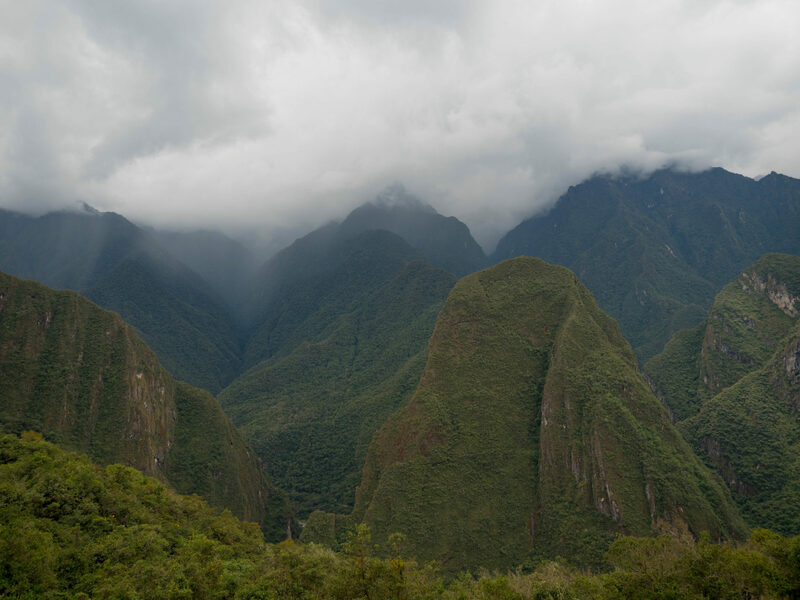 We arrived the day before our visit to Machu Picchu which I highly recommend. The next day began bright and early with a 3:45 AM wake-up followed by a quick breakfast at 4:30 AM. We decided as a group that we wanted to be in line for the bus at 5:00 AM (the first bus departs at 5:30 AM). Our tour guide warned us the line would be long, but not to freak out because it moves quickly. Even getting up as early as we did there were still hundreds of people in line ahead of us! We ended up waiting in line for about an hour and 15 minutes and then hopped on one of the buses up the side of the mountain. The bus ride took about 30 minutes. 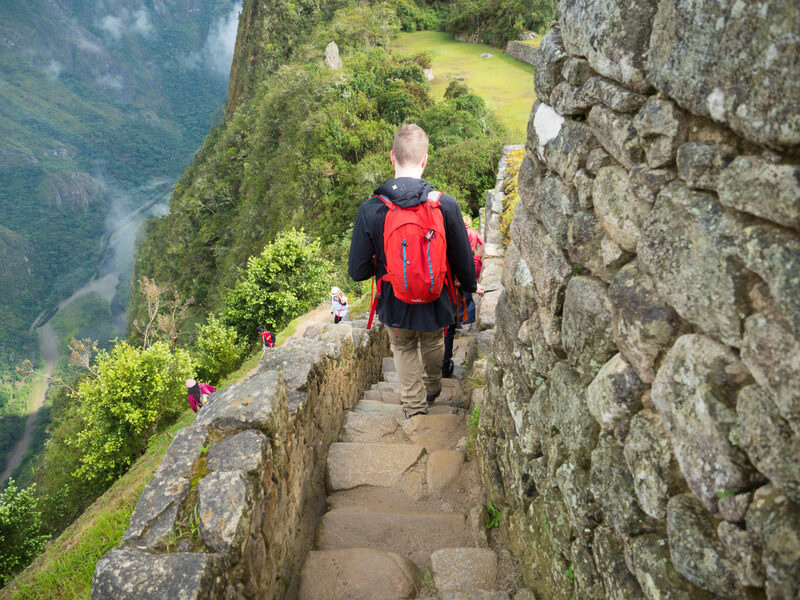 If you’re ambitious you could also hike to the top, it takes about 1.5 hours. 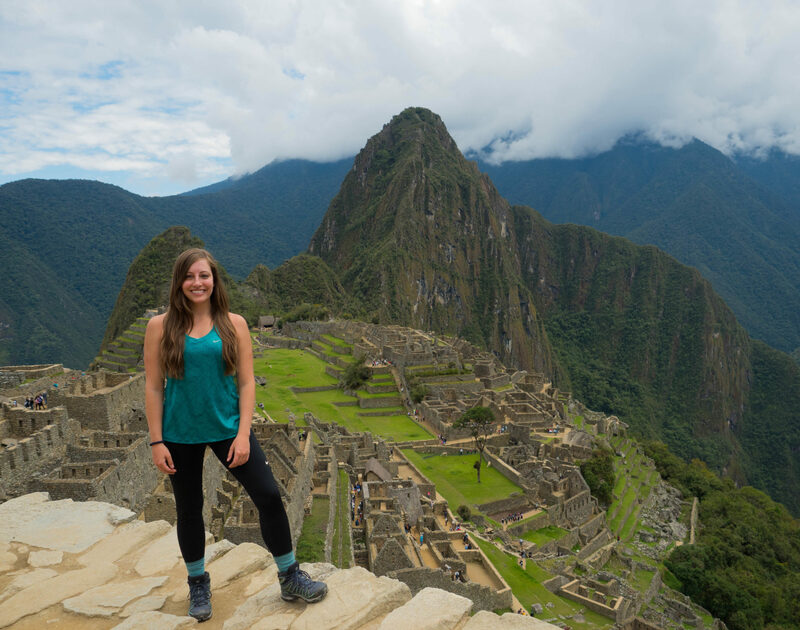 Machu Picchu sits at an elevation of 7, 972 feet. The climate in the mountains can change quickly, so I would bring multiple layers no matter what time of year you visit. 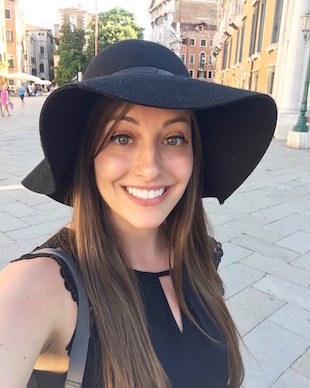 I was there in October, which is technically spring in South America, but I still needed my winter coat on several occasions. The morning we arrived it was raining, but then the sun came out and it warmed up. We even got to see a double rainbow! 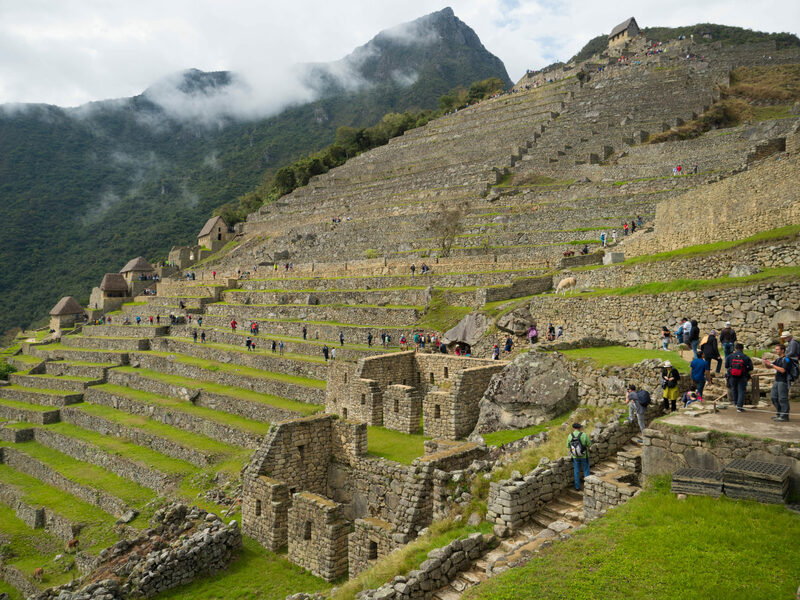 Astronomy played an important role in Incan culture and religion. They worshiped various gods including the sun and moon. They also believed spirits inhabited natural elements like trees, boulders, and rivers. 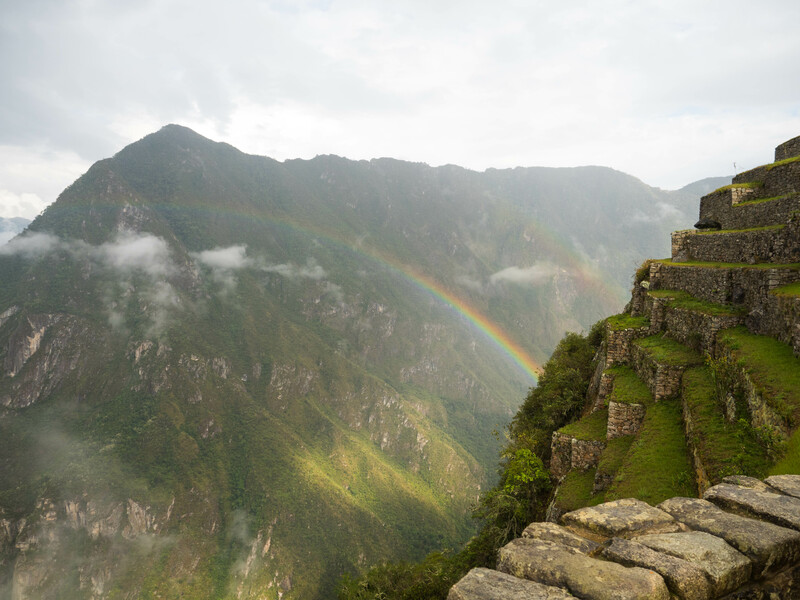 To the Incas, everything in and around our world was spiritually connected. 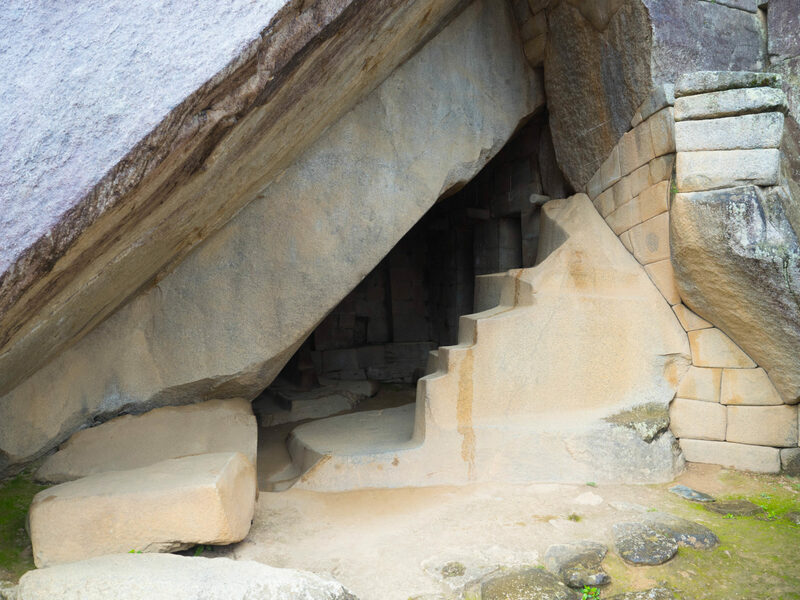 The royal tomb of Machu Picchu. 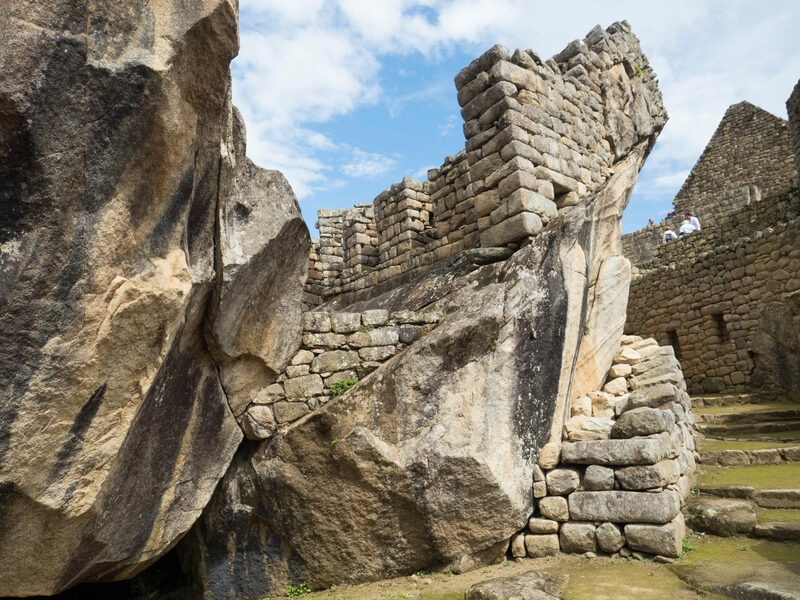 Temple of the Condor (imagine the jagged rocks as wings). The condor is the biggest bird in South America and was sacred to the Incas. They believed its wings gathered clouds and produced rain for the crops. 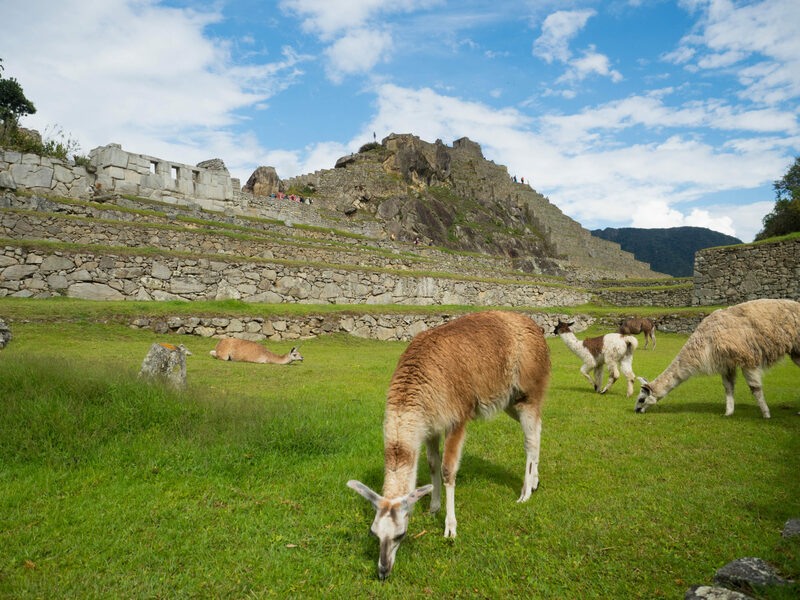 The three staple crops for the Incas were corn, potatoes, and quinoa. 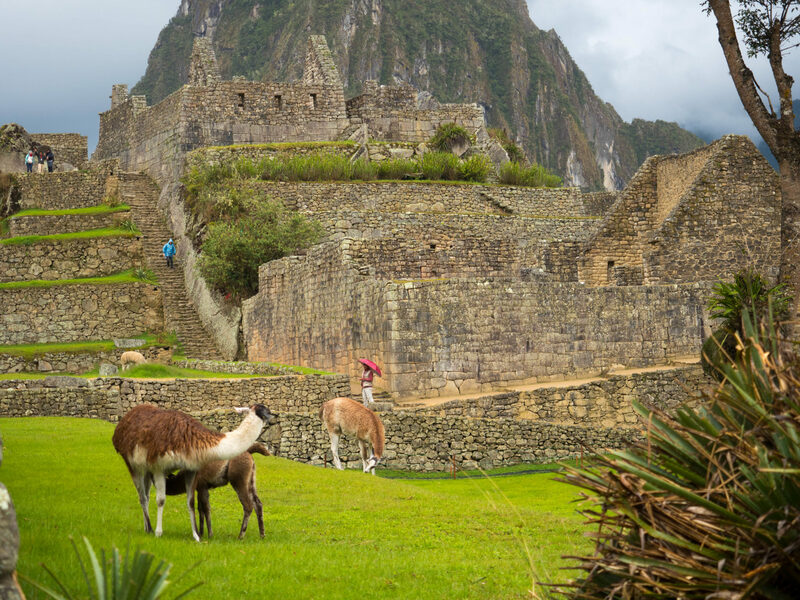 They utilized terrace farming since they lived high in the Andes mountains. I really like the picture below because it gives you a better sense of how large this community was. 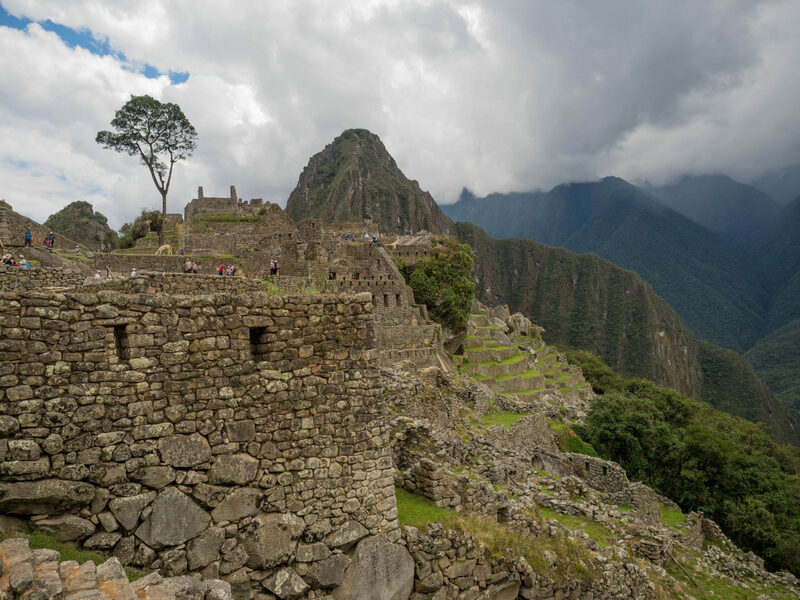 You don’t typically see pictures of Machu Picchu from this angle. 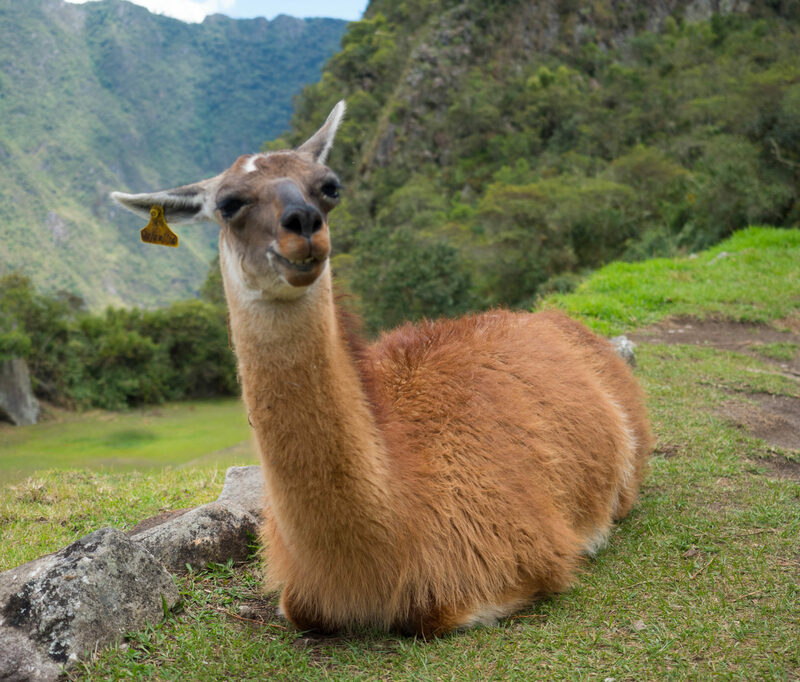 Llamas and alpacas were domesticated by the Incas around 4,000 years ago. 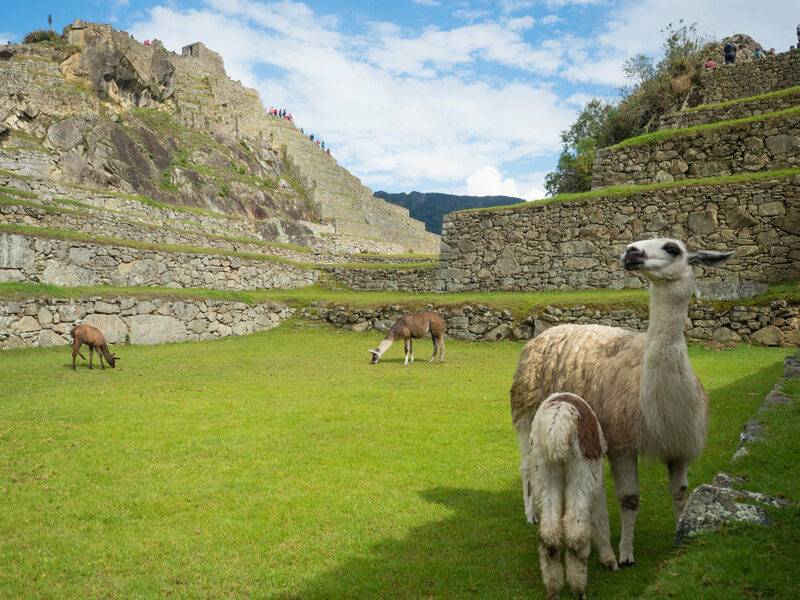 They’re still an important part of Peruvian culture today. 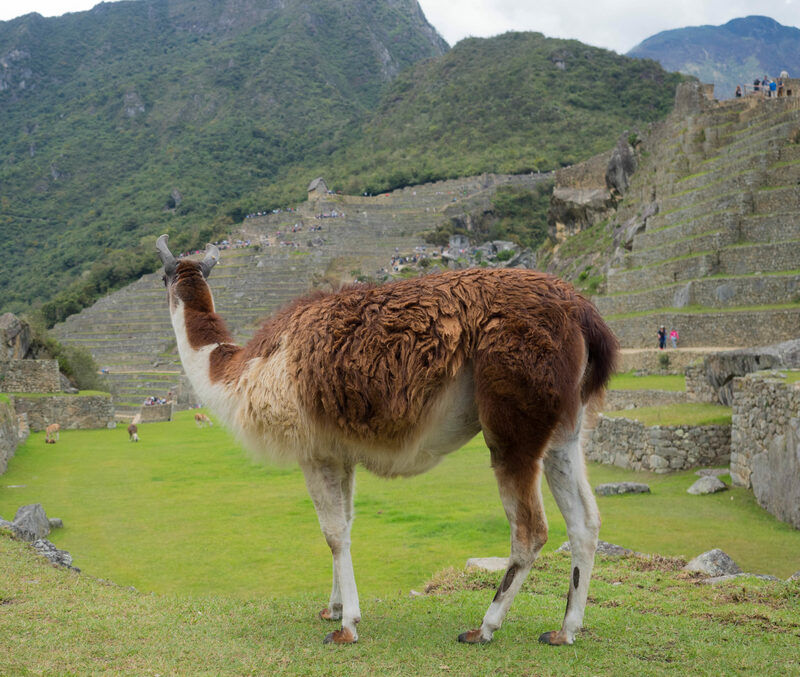 They wander freely on the summit at Machu Picchu and are very friendly due to the number of tourists they encounter on a daily basis (as many as 5,000/day in the high season). The locals use their wool to make warm weather clothing, they are also bred for their lean meat. 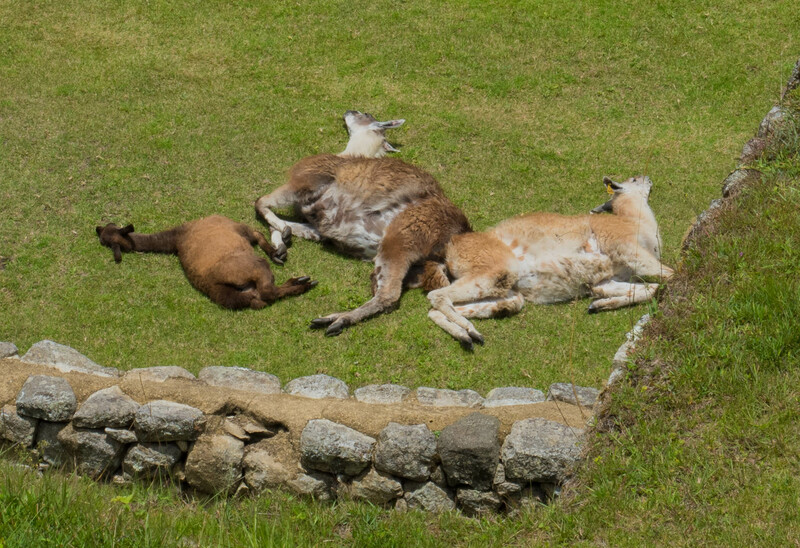 I took an embarrassing amount of photos of the llamas. Here are a few of my favorites. 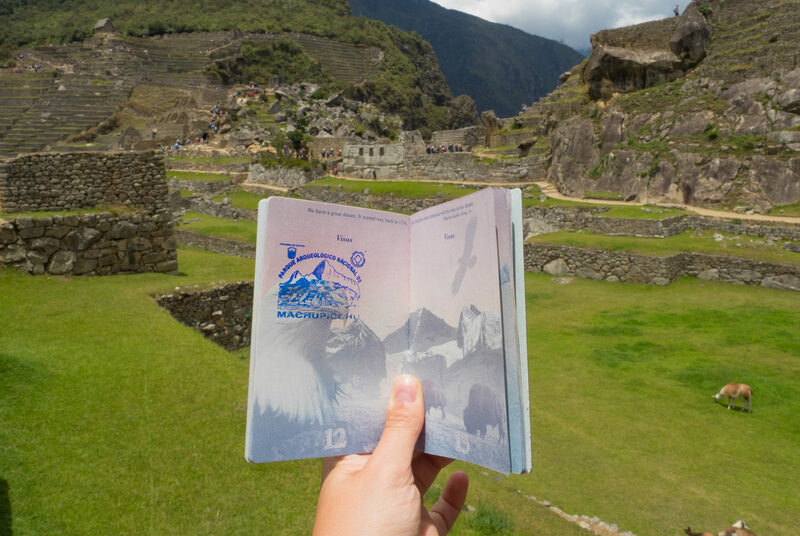 Tip: There’s even a place to stamp your passport when you exit the site. Don’t miss this! 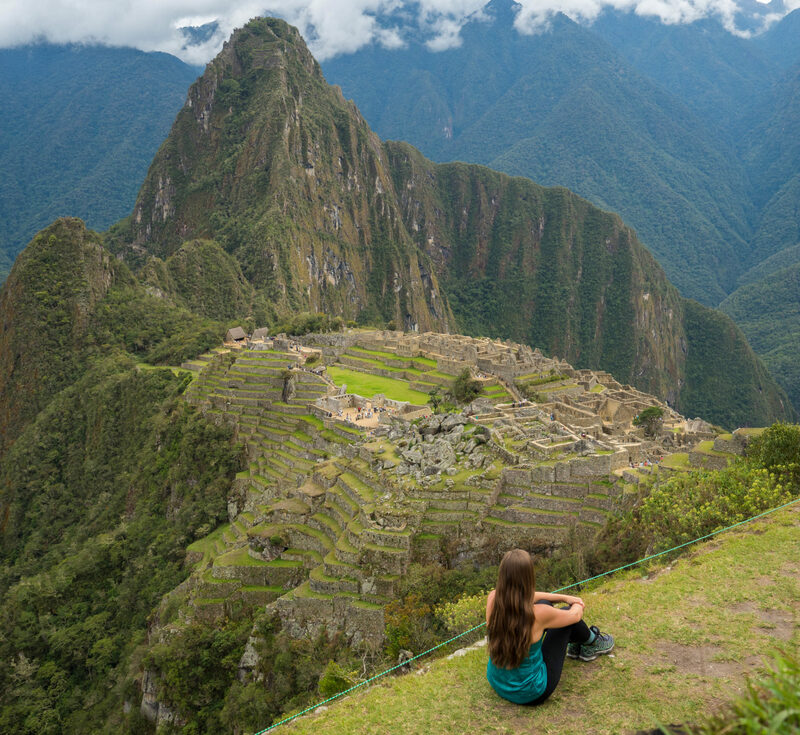 If you’re ever given the chance to visit Peru just say yes! It’s an amazing country and I would definitely go back one day. Thanks for the tour!!! What a nice break during my lunch! !